Just wanna pop in real quick, and share our 2nd Grade Earth Day Bulletin Board that Jenna and I did with our grade partner, Erica. We offered this as a give-away with Sunny Days in 2nd Grade. If you missed it, you can grab it here. HI!! Just found your blog! I teach 2nd grade too! 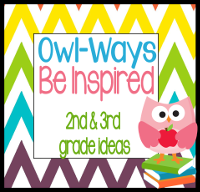 Hope you will check out my blog and TpT store! This looks so cute! I am a new follower of your adorable blog. Just found your blog! Your Earth Day bulletin board looks great!